Emojis have been around for a while now and by adding them as reactions on Facebook, the media giant did a great favour to brands for they could now get specific, quantifiable data on what the audience thinks about their content. Taking the idea a step forward, the Emoji Slider on Instagram stories is a winning move. Wondering how to best leverage it as a brand? Here are a few ideas we got. Create a story around one of your product, engaging the audiences to feel that their opinion in the story matters. To do so, use the existing Instagram story tools and slide in the Emoji Slider at a later story. Make sure the entire story finishes in at the most five snaps. For example, in the first one you could as if they prefer having morning tea at the table or in bed, then show three refreshing images of how the day could be when started on a good note and in the last snap, ask them how motivated they feel to get out of bed today and use the Emoji Slider to record their response. A brand always knows their strengths and weaknesses when it comes to specific products. 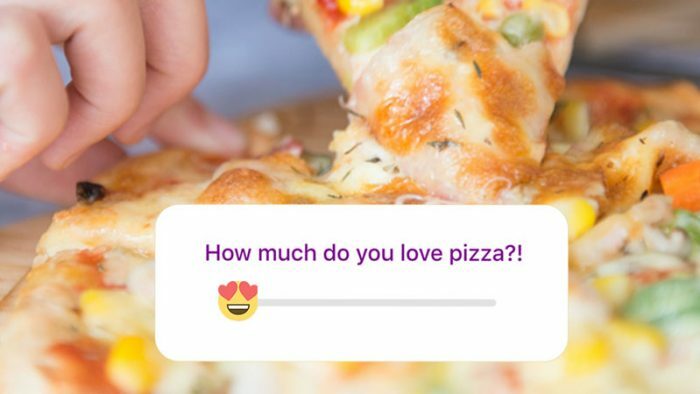 You can use the Emoji Slider to know how your audience is reacting to different variants of the same product. Do they love mango ice cream more than the strawberry one? Earlier you could have used the poll option to know what they like best. Now, you can use the slider to understand the degree to which they like the product. Use the slider in consecutive snaps of the two products. This will help you draw a comparison between what they feel about the products at that moment. Also read: #New – Instagram Stories Emoji Slider: Millennial innovation, puzzling for others! As an artist, you could record a joke you are not so sure about and put it across on a story and see how your audiences react to it. With the slider, you will be able to know the extent of how funny or bad they find it. You could use this as a quick research to create a set around similar lines. Chances are, your show audiences may react similarly. You can even use the slider to check how much they are likely to wait around for your next Instagram live video and even throw in the time to see what they are most comfortable with. If you are someone with a background in research, you are likely to have thought of Likert scale when you saw the slider for the first time. However, isn’t this a much better and fun way to gauge audience reactions than putting it in words like strongly agree and strongly disagree? Also, since Instagram gives you average answers as well individual ones, you could use these to do a small scale research to test waters. Another one for Instagram celebrities. You could use the slider to understand what your followers feel about the content you put across. So, as a fashion or food blogger, you could post images of the recent shoot, asking how excited they are to see the results. You could even ask your followers to help you select the images you should post on the profile. This will help them feel more involved and increase your engagement rate. They are, of course, the best judges you got! Feel we left out something? Tell us in the comments or write to us at team@socialsamosa.com.